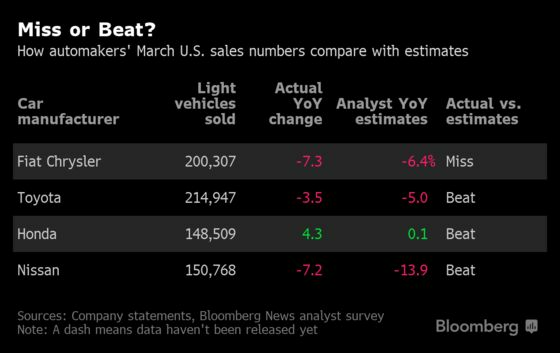 (Bloomberg) -- Most major automakers capped the first quarter with declining U.S. sales again in March, as the sugar high from last year’s tax cuts wore off and the economy lost steam. Shares of GM, Fiat Chrysler and Ford Motor Co., which releases its quarterly sales results Thursday, all closed higher Tuesday in New York trading. 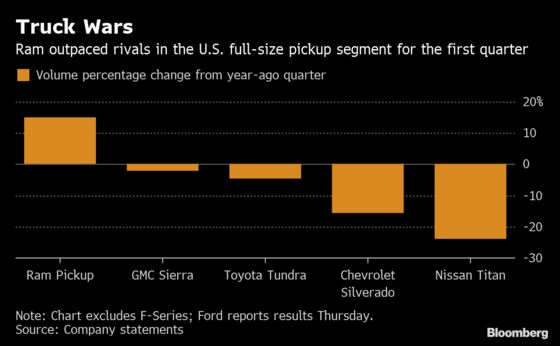 Automotive News reported Ford’s sales dropped 5.2 percent, a smaller decline than analysts expected. 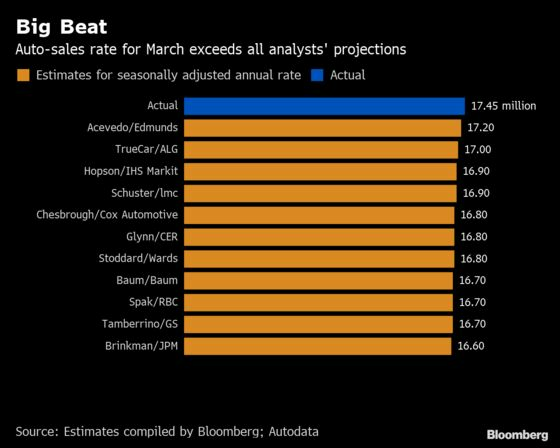 Deliveries for Nissan’s second-best selling car, the Sentra compact, rose 2 percent in March and the Altima sedan dropped just 1.9 percent, both improving from weak performances in January and February.